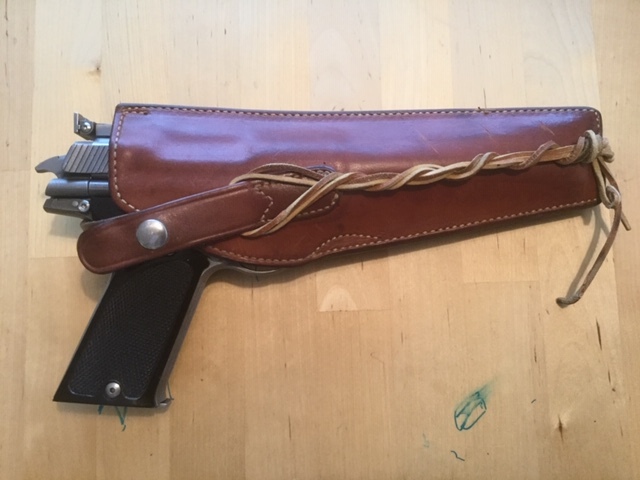 After buying an Auto Mag holster which didn’t really fit properly, I was fortunate enough to stumble across another one! Although both of them are marked as Safariland 103, they are very different one another. You can see how the new one would ride much lower than the old one. 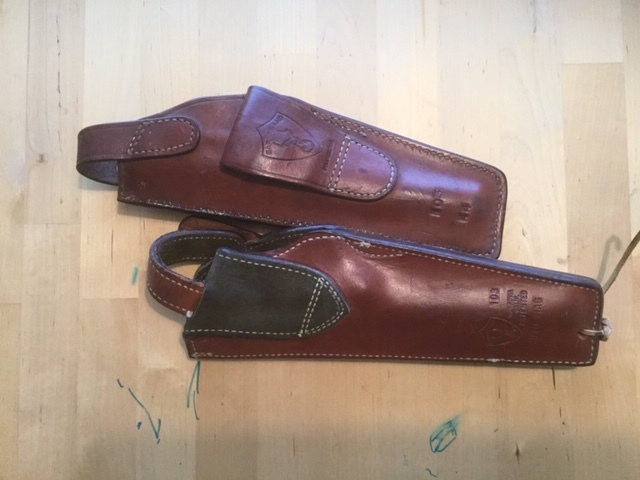 They have completely different markings, although they are both marked as being Safariland 103 models. 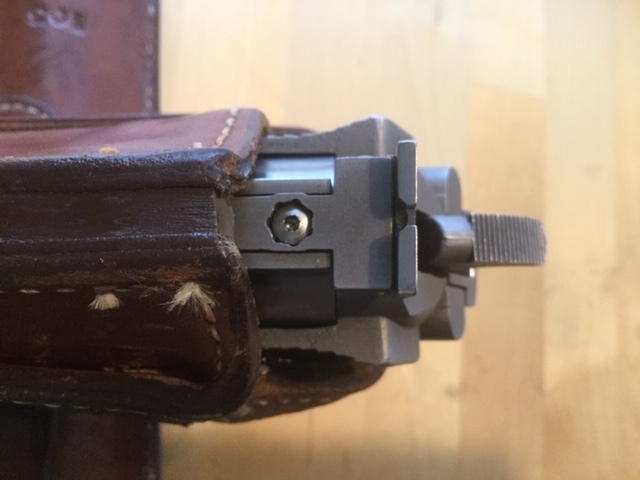 Compare this with the pics in my other Safariland 103 thread where the gun is a good half-inch short of fully seating. 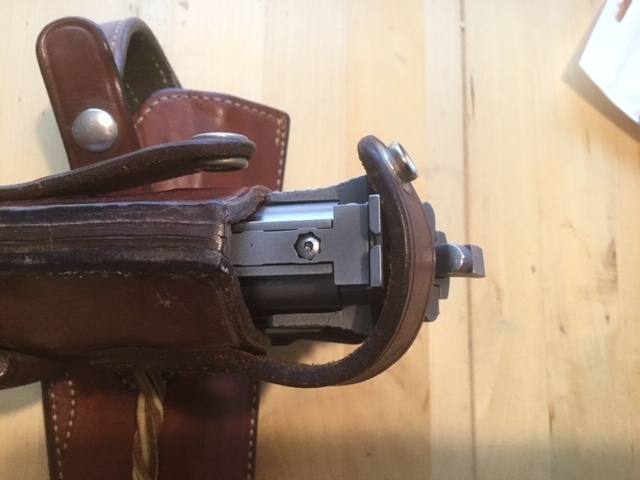 The sad thing is that I vastly prefer the configuration of my original holster. If only the gun fit into it properly! I only have a shoulder holster. 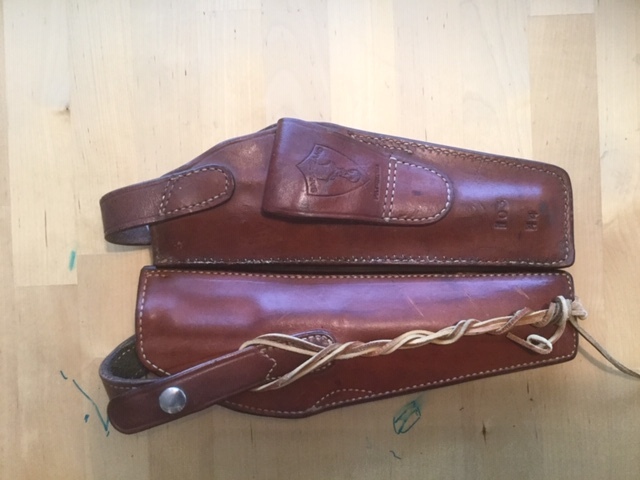 I do have an extra, but you can see where someone carried a revolver in it as well as the Automag. I probably paid too much for them, certainly more than the deal you got on one of them. The hip holster must be pretty bulky. What's keeping it from seating? Do you think it got wet and shrunk or something? 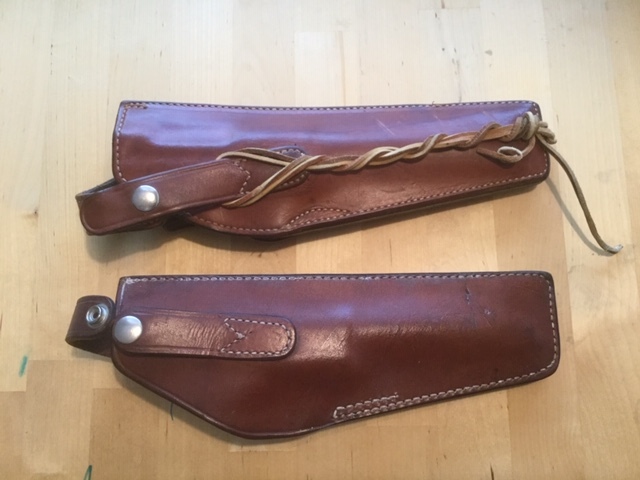 The first holster is visibly shorter than the second one, and is clearly shorter than the gun. It’s almist as though it was created for an Auto Mag with a 5 1/2 or 6-inch barrel (which, as far as I know, doesn’t exist). 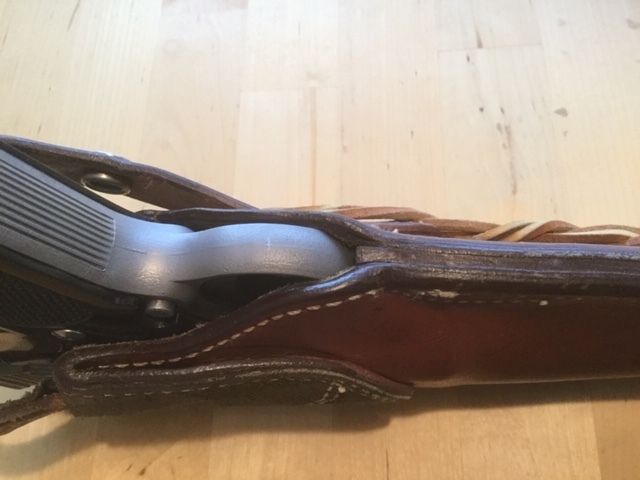 The holster is blocked perfectly; it just isn’t long enough. Oddly it is not ‘new’ and clearly was used, so perhaps it was custom-made for somebody who had a shorter-barreled Auto Mag? That’s the only explanation I can come up with. It is very clearly intended for use with an Auto Mag, as it is ‘blocked’ for the Auto Mag frame.